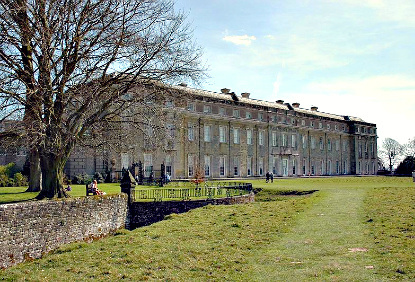 Petworth is one of the great stately homes of England. Built in 1688 for Charles Seymour, 6th Duke of Somerset (dubbed the "Proud Duke"), Petworth is an enormous classical-style edifice with no less than 63 windows on its main facade. It houses the most remarkable art collection managed by the National Trust, with numerous paintings by Turner (19 works in total), Van Dyck, Reynolds, Blake as well as sculpture, furniture and carvings by Gibbons. Of the many rooms, the highlights are the Dining Rooms, the limewood carvings in the Carved Room, the Grand Staircase murals, and the kitchens in the Servants’ Quarters, which contain an astounding display of over 1000 copper cooking utensils. The house is surrounded by a 12-hectare wooded Pleasure Ground, and a 280-hectare park, landscaped by ‘Capability’ Brown, home to the largest herd of fallow deer in England. Several neo-classical structures enliven the premises, such as a Rotunda and a Doric Temple. 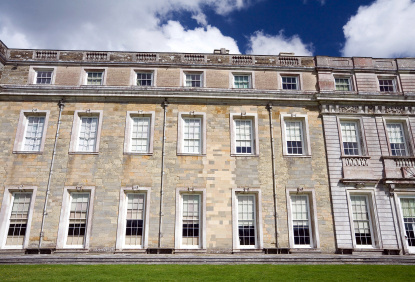 Petworth House is open between 14 March and 9 November, from Saturday to Wednesday from 11am to 5:30pm. Admission costs £9.40 for adults, £4.70 for children or £23.50 for a family ticket. Access to the Pleasure Ground only is £1.90 (free for children). The park is open all year round and entry is free. Petworth is located on the A283 and A272 roads, about halfway between Portsmouth and Gatwick Airport. The nearest train station is Horsham (55min by train from London Victoria, £12.40), from where bus No 65, 76 and 95 make the connection to Petworth. Alternatively, Stagecoach Coastline 1 between Worthing (25min by train from Brighton, £4) and Midhurst.